(Photo courtesy Diane Ziel) Diane Ziel recently moved to the Willapa Bay area from Portland to take over management of the historic Raymond Theatre. The Raymond Theatre marks its 90th anniversary Thursday, Oct 11. To commemorate this milestone, a gala fundraiser will be held there Saturday, Oct. 13, at 2 p.m. The theme will be the Roaring ’20s, and attendees are encouraged to dress accordingly. • “The Last Command” (run time 1:44) — a silent film with a live musical score to be performed by local violinist Alfred Beattie and organist Paul Van Dyck, who will be playing the theater’s restored vintage Wurlitzer. • “The Lights of New York” (run time 1:28) — in Vitaphone sound. A 45-minute intermission between films will allow time for mingling and light refreshments, including birthday cake. Commemorative merchandise will be sold, and a selfie photo booth will feature Roaring ’20s props. Ziel recently moved to the Willapa Bay area from Portland to take over management of the theater. She said this event marks the launch of its 2018-19 season. 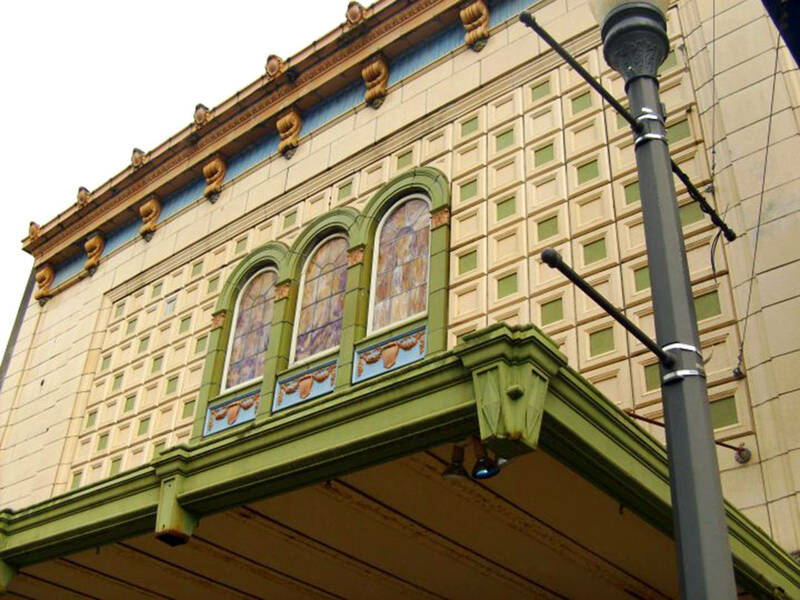 Before screening the first film on Saturday afternoon, she will narrate a slideshow on the history of the 347-seat theater, which is listed on the National Register of Historic Places. Today, it shows movies and classic films, and hosts live performances and other events. The gala will run from 2 to 6 p.m. at the theater, 323 Third St. in Raymond. Tickets are $20 each, available online through Brown Paper Tickets. For more information, visit www.raymondtheatre.org. (Photo courtesy Raymond Theatre) The historic Raymond Theatre marks its 90th anniversary this week. (Photo courtesy Raymond Theatre) Paul Van Dyck will play the live musical score for “The Last Command” on the Raymond Theatre’s restored vintage Wurlitzer.